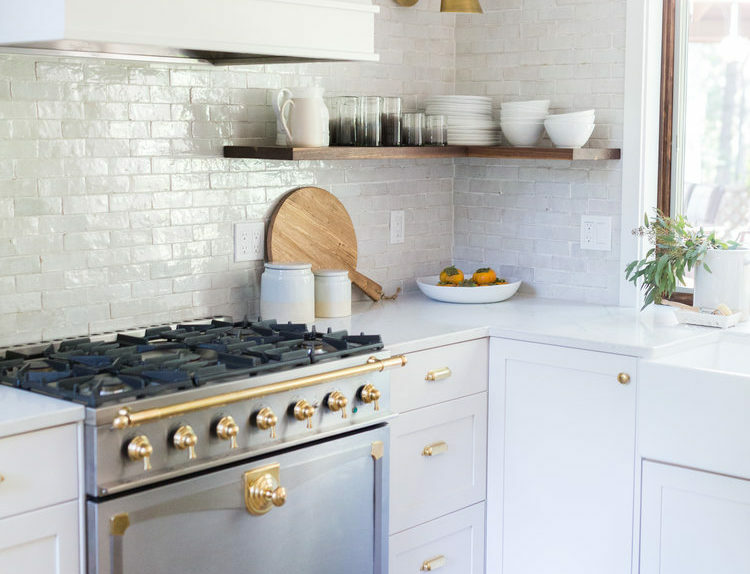 The owners of this house wanted to enlarge their home, add a ground floor master suite, remodel all of the bathrooms, add craft/recreation room and added a workshop to the garage. 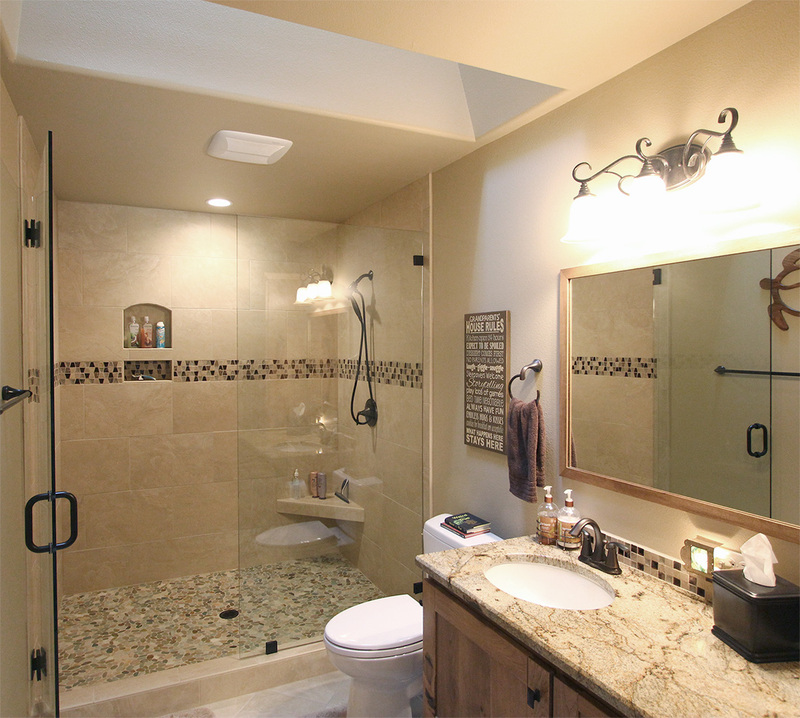 A curbless shower was installed into the new Master bath so the homeowners can Age-In Place and know they will always have access to their shower. 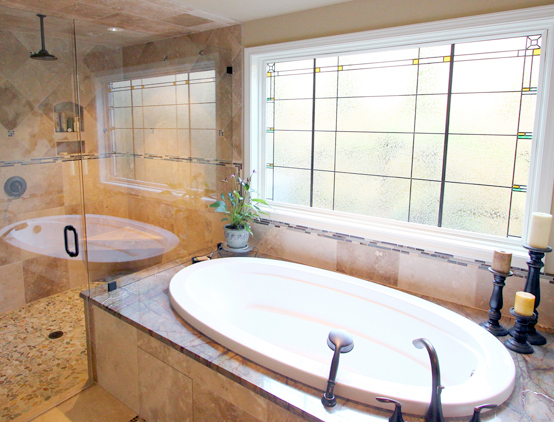 We added a large soaking tub shrouded by the ambiance of a stained glass window. 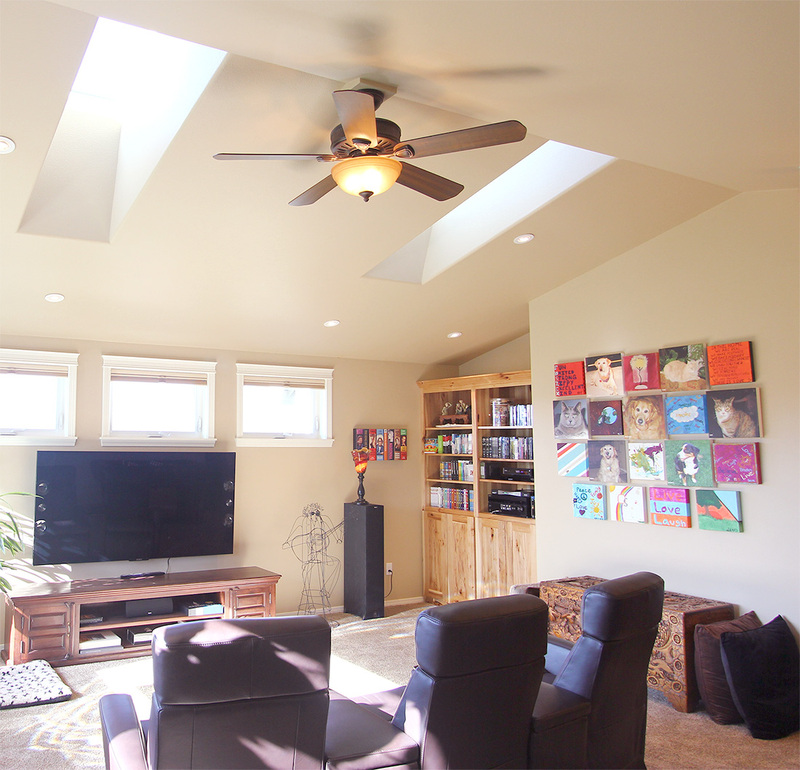 Large skylights and windows were added to bring as much natural light into the space as possible, especially on our grey northwest winter days. We created a his-and-her curbless shower with custom tile work. The shower has a rain shower head, and dual controls to keep both owners comfortable. 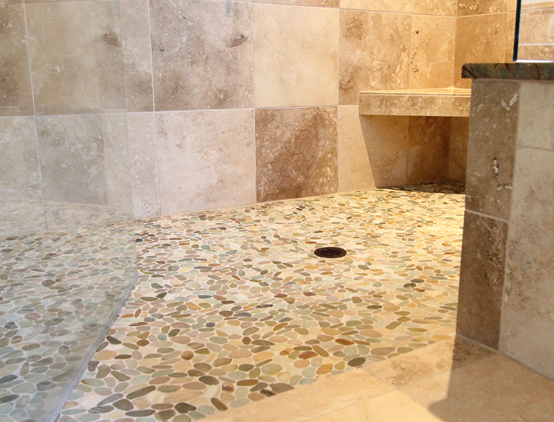 They picked a shower floor of sliced olive stones for the massaging texture underfoot. 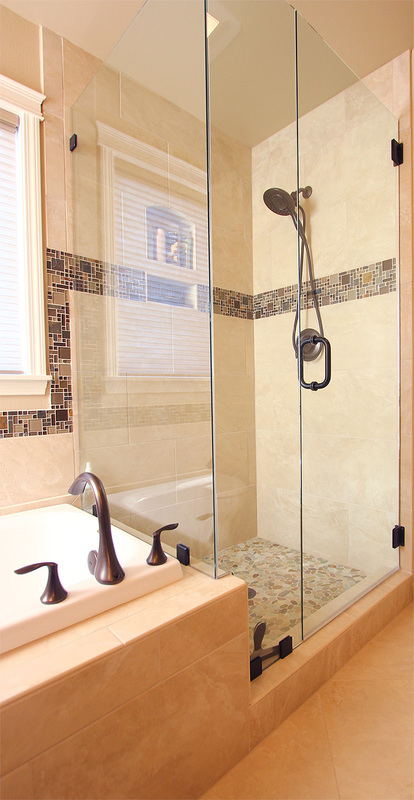 Our design directed natural lighting through the frameless glass shower doors to brighten the shower experience. The curbless shower eliminates the largest physical barrier in the bathroom, the bathtub. 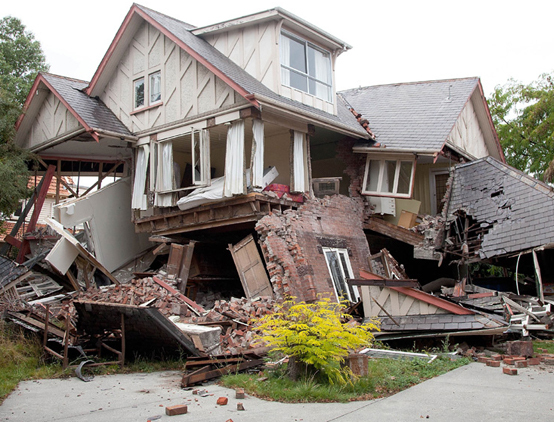 It is unique in the sense that it opens up a room, making the floor seamless by blending the whole space together as one. 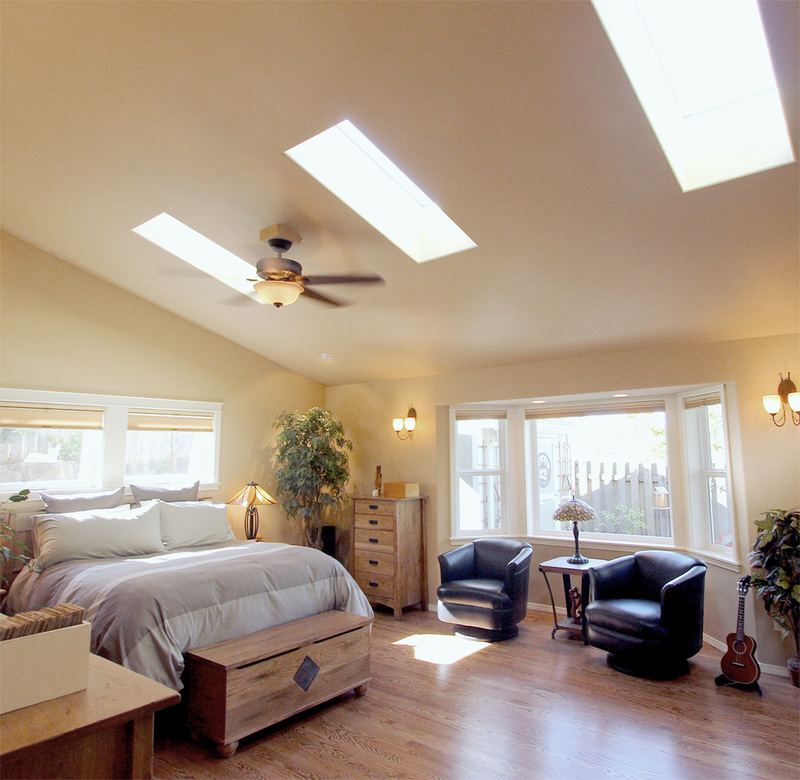 In the Master suite bathroom, Wichita art glass has been added to the picture window to add some unique detailing. We used Amazon Rainforest Marble for the tub deck surface and the countertops. 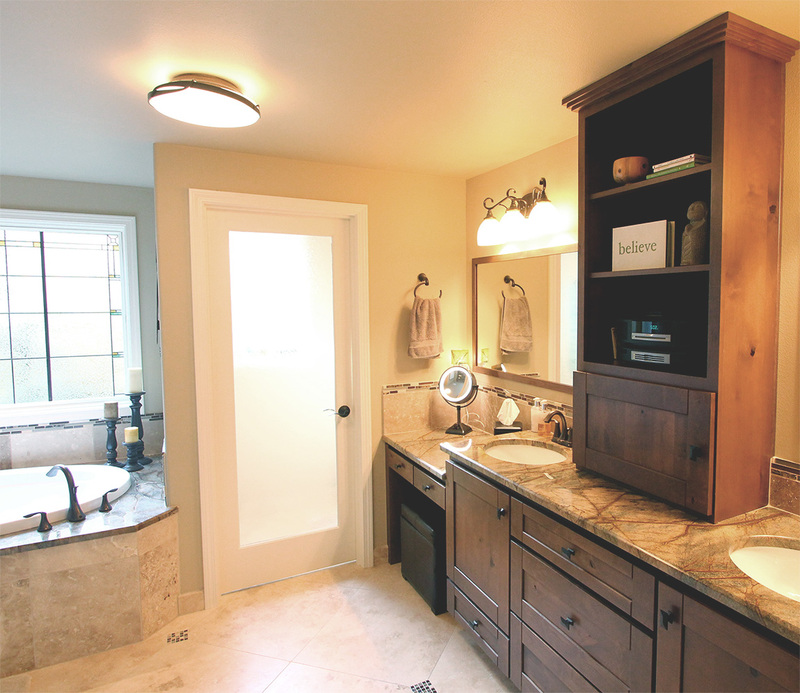 The Master Retreat bathroom also has heated Travertine tile floors for year-around comfort. 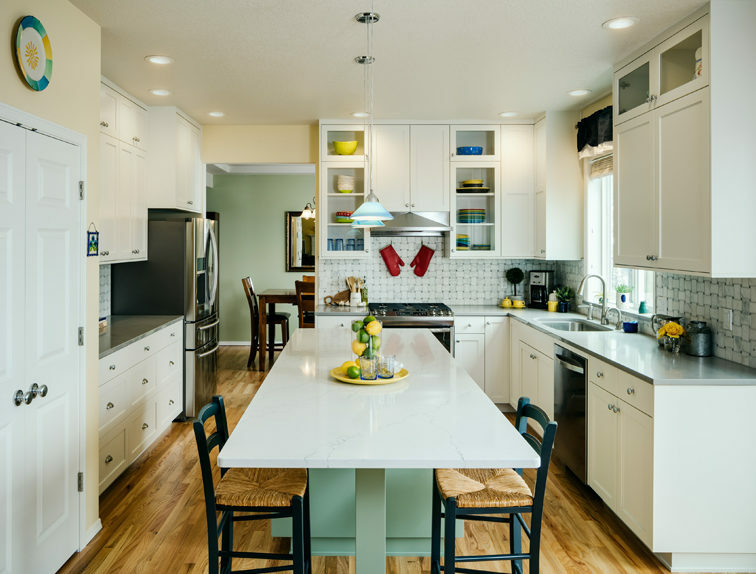 The countertops and flooring are complemented by Mosaic Cabernet glass accent tiles. 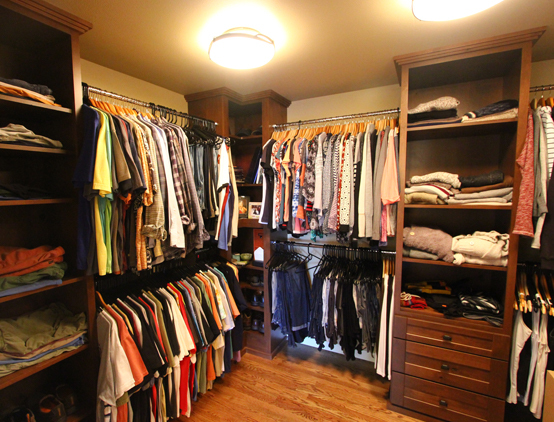 High on our clients wish list was a large, well designed closet, with exceptional lighting. We brought in an expert to help us design the shelves, drawers, multi-level hanging systems, fold down ironing board and organizing systems to fit their needs.